If your following Kipanyas arts every now and then you must have realised that there is more out of masoud kipanyas cartoons. Most of his cartoons are based on politics and real life. 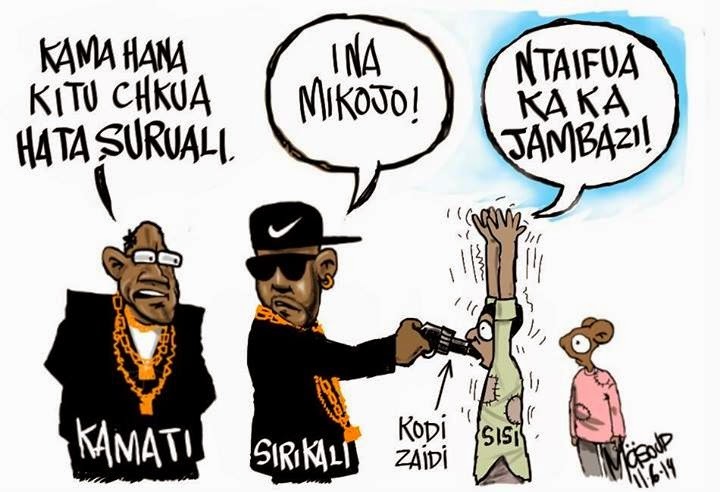 I can say proudly that the stupidness of Masoud Kipanya has more meaning than just the cartoons, kipanya brings to light things that exists in our daily life, things that no ones dare to reveal about the Government. Even Masoud himself calls it just his stupidity... but its the stupidness that people who are brave enough can realise its actual meaning.